On Tuesday, former candidate for president Hillary Clinton formally filed paperwork to register her participation in Jill Stein's vote recount, The Hill reported. 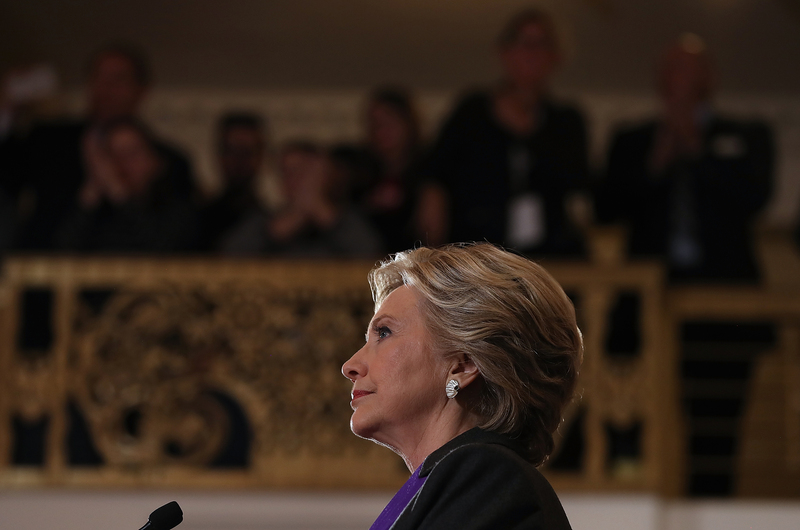 Clinton had indicated over the weekend via a Medium post from her campaign lawyer that she intended to participate in third-party candidate Stein's recount efforts. Crucially, Clinton is not agreeing with Stein's motivations for a vote recount, nor suggesting that she believes the election to be rigged. Instead, Clinton signing on indicates only that she intends to participate to make sure that the process is reasonable and fair to all parties. Since the crushing defeat that left Clinton and her supporters devastated in the Javits Center in New York — a glass building picked by the campaign to represent the shattering of a glass ceiling — Clinton has stayed under the radar. Following her concession speech the day after the election, Clinton has been spotted near her upstate New York home hiking and in a bookstore. To all the women, and especially the young women who put their faith in this campaign and in me, I want you to know that nothing has made me prouder than to be your champion. Now, I know, I know we have still not shattered that highest and hardest glass ceiling but someday someone will and hopefully sooner than we might think right now. And to all the little girls who are watching this, never doubt that you are valuable and powerful and deserving of every chance and opportunity in the world to pursue and achieve your own dreams. Because we had not uncovered any actionable evidence of hacking or outside attempts to alter the voting technology, we had not planned to exercise this option ourselves, but now that a recount has been initiated in Wisconsin, we intend to participate in order to ensure the process proceeds in a manner that is fair to all sides. Stein, for her part, raised millions over the Thanksgiving weekend for a recount campaign. She has insisted that she did so not to benefit Clinton or to benefit herself, but so that democratic process can be subject to the proper checks and balances. According to The Hill, the recount process in Wisconsin is set to begin Thursday.